This plan will convert the vacant school building into a community service space for the community. The completed project includes 27 affordable apartment units for homeless families and children in addition to relocating our Hope Center Services with a goal of expanding on those services that are provided to our clients. Click here for more information. With construction financing completely secured, we have embarked on our Building Hope Capital Campaign to secure funds to finish the project. Located at Hickory and Broadway, this project provides 47 affordable units to the Buffalo community. The Matt Urban Center partnered with HELP USA to construct and manage this much needed building for the East Side. The project features 1, 2 and 3, bedroom apartments. With the project fully underway as of 2018, the Matt Urban Center continues its involvement at HELP Buffalo II by providing case management services for residents of the building. 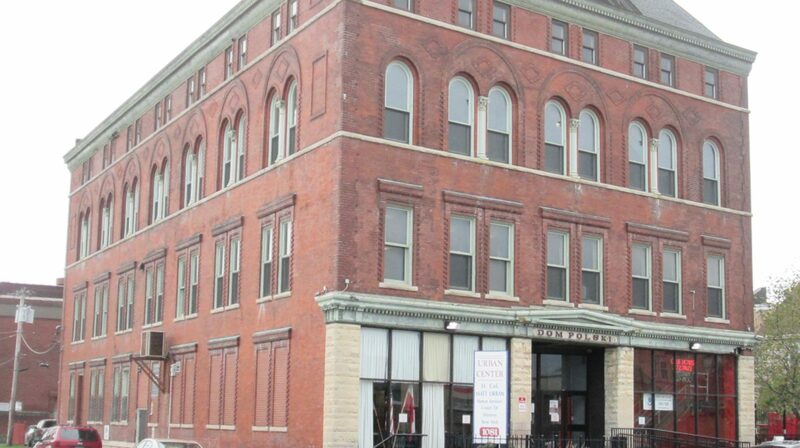 The Matt Urban Center worked with Laurie Hauer-LaDuca (Architect), Savarino Companies(Construction Manager), and Janet Meiselman, of Oxford Consulting, to submit grant applications to build this apartment building for homeless women in East Buffalo.